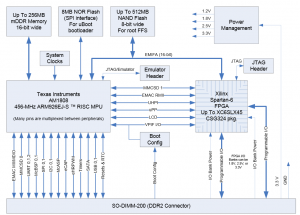 Systems requiring an embedded module that can provide an array of hardware interfaces as well as rich user interfaces will find the MitySOM-1808F System on Module (SOM) to be an appropriate choice. 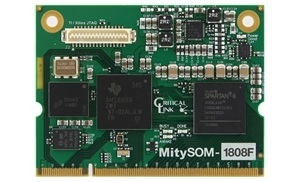 The MitySOM-1808F ARM9 system supports QNX, embedded Linux, Windows CE 6 and ThreadX operating systems. 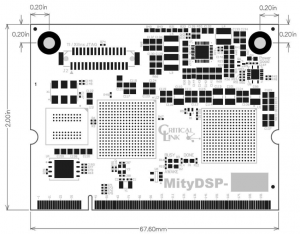 The MitySOM-1808F embedded processor module features the TI AM1808 ARM9 application processor, as well as the new Sitara AM1808 CPU from Texas Instruments. 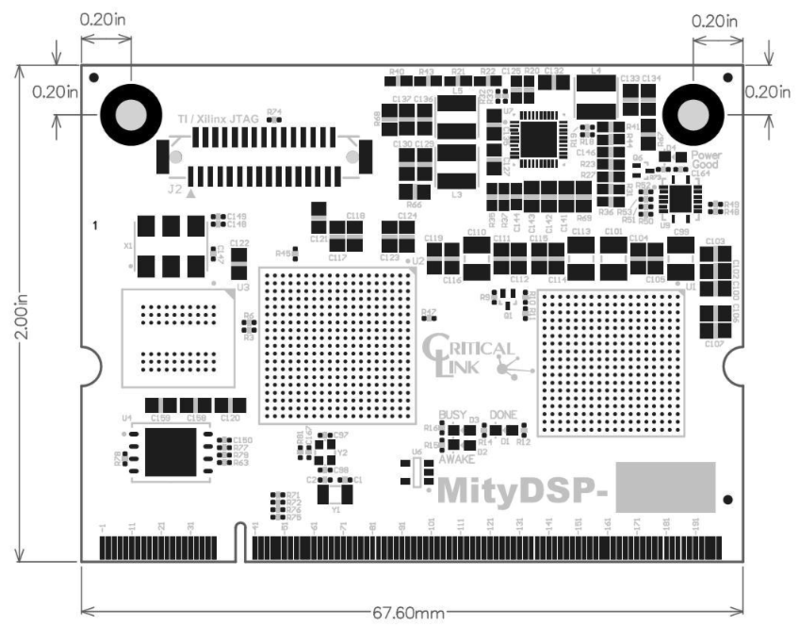 At the heart of this CPU is an industry standard ARM926EJ-S MPU running at 456MHz. 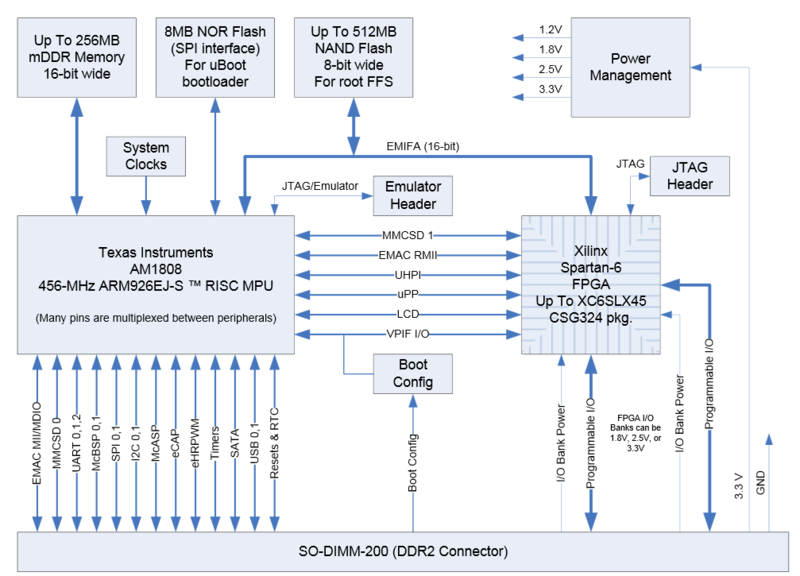 The Xilinx Spartan-6 FPGA on these modules serves to expand the available I/O capabilities of this module as well as provide the opportunity for designers to develop intensive math coprocessing without requiring a complete DSP.